Provocative, poignant, and beautiful. By Texas Poet Laureate and former San Antonio Poet Laureate, Carmen Tafolla. She saw another world.... Indeed, she did. It is alleged that there is a media blockage regarding this hunger strike by parents wanting to re-open their neighborhood school. I can certainly say that this evening is the first I hear about this. The coalition’s [Coalition to Revitalize Dyett High Schoo] proposal is for a district-run, green technology school with partners including the Chicago Teachers Union and the Chicago Botanic Gardens. The other two proposals the board will consider to replace Dyett are from an arts education non-profit, which has proposed a "contract school" that would not be run by the district, and a former CPS principal, whose proposal does include a district-run school. But Dyett parents and community members say they believe the best option for future students is the proposal formulated by the community. This powerful story evokes memories of Civil Rights protests and civil disobedience. 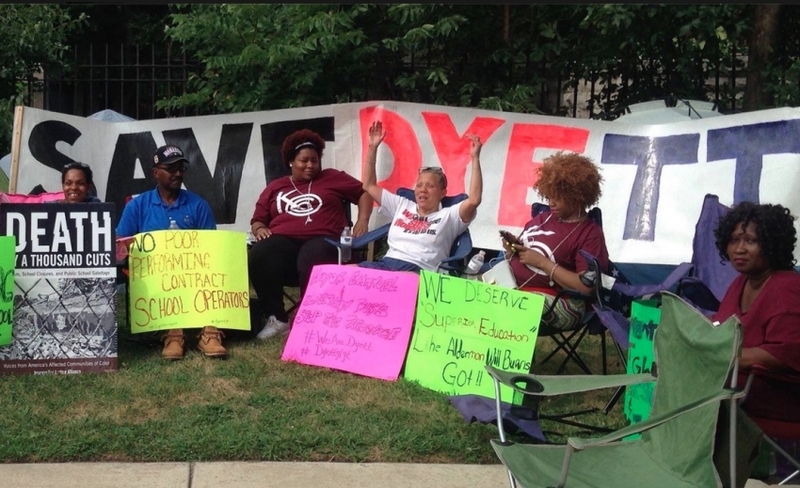 As part of the Coalition to Revitalize Dyett High School, Taylor-Raman and others have held sit-ins in City Hall, filed discrimination lawsuits and picketed Board of Education meetings. The Dyett hunger strike is only the latest flare-up in a public school system in turmoil. Contract negotiations between CPS and the Chicago Teachers Union remain in a stalemate, and financial woes including some bad investment decisions (and the district’s unwillingness to renegotiate them) have left CPS begging for operating funds from a reluctant state government. All else equal, I, too, like the idea of the community running the school, in partnership with the district. This should exist as a default kind of opportunity for all communities. Regardless, things have gotten quite serious over there in Chicago with CPS facing declining revenue and having to make draconian choices—consistent with the claim made within about racism and, I would add, power. Do read the entire report. Yana Kunichoff is a Chicago-based journalist, is very talented. I include several of her other news reports below. As schools across Chicago begin the cleaning and organizing process leading up to the first day of school on September 8, one will stay shuttered. Dyett High School, in on the edge of the Bronzeville neighborhood, won’t be opening its doors this year. The high school has long been in the process of closing. Chicago Public Schools (CPS) announced in 2012 that Dyett would be “phased out,” meaning after 2012 no new students would be admitted, as a result of low test scores, and the building would be closed when the last class graduated. Three years later, Dyett’s doors are now closed. But the fight to reopen the school is heating up. On Monday, August 17, 12 parents and neighborhood activists began a hunger strike, under the banner of the Coalition to Revitalize Dyett High School, to demand that CPS make a decision on the future of the school and reopen it as a district-run, open-enrollment, neighborhood school that would allow all students to attend regardless of grades. CPS announced last year that it would consider proposals for a new manager and school vision for Dyett. But after months of delays, most recently an August meeting rescheduled for September, and with a long history of mistrust between community groups and the district, community members say they’ve waited long enough. "The city has sabotaged our community, which we know is undergoing gentrification. Why would they close the only neighborhood high school left for our children?” Irene Robinson, a grandparent with young children that would have gone to Dyett had it not closed, said in a statement. They are calling for an emergency hearing at the Board of Education—and to ask CPS to make a decision that isn’t “based on political ideology or cronyism.” The coalition’s proposal is for a district-run, green technology school with partners including the Chicago Teachers Union and the Chicago Botanic Gardens. The other two proposals the board will consider to replace Dyett are from an arts education non-profit, which has proposed a "contract school" that would not be run by the district, and a former CPS principal, whose proposal does include a district-run school. But Dyett parents and community members say they believe the best option for future students is the proposal formulated by the community. CPS stressed in a statement that the decisions around how Dyett will reopen will be a “community driven process.” “Identifying a high-quality education option for the former Dyett site is a priority for the District, and CPS is reviewing school proposals to determine the best open enrollment, neighborhood education option for the site," the statement continued. But activists argue that more than the fate of Dyett is at stake in this fight. They say years of “education reform” have change the character—and schooling options—of their neighborhood. Bronzeville has been the target of many school closings and reform plans in recent years—more than 15 in just over a decade. The hunger strikers say these changes have made public high schools that can be attended without an application process in the area sparse, hunger strikers say. Jeanette Taylor-Raman has spent all but the last three of her 40 years living in Bronzeville, and the last few nights sleeping in tents near the school while on hunger strike. She says the idea that her daughter may have to travel several miles to the nearest open enrollment high school instead of attending Dyett, is unfair. At issue, she says, is race. Taylor-Raman has been in a community group, the Kenwood-Oakland Community Organization (KOCO), that has been fighting for Dyett since the school’s phase-out was first announced. As part of the Coalition to Revitalize Dyett High School, Taylor-Raman and others have held sit-ins in City Hall, filed discrimination lawsuits and picketed Board of Education meetings. Also of great concern to both groups has been the sea change in the makeup of CPS. The closing of 49 public schools in 2012 received a huge amount of press coverage at the time. But even before that, reform measures like Renaissance 2010 and the Mid-South plan closed dozens of schools throughout the city and turned over many of the buildings to charter school operators. And in the latest CPS budget, money doled out by projected enrollment numbers resulted in an increase in funding for charters, while all the schools losing funding were run by the district. With the additional possibilities of a teachers strike still looming amid continued budget cuts, the coming CPS school year will likely be one of continued protests. The tactic of hunger strikes around social justice issues has a long history in Chicago. Little Village Lawndale High School, a social justice-focused high school, was opened following a hunger strike, and a group of residents in the Pilsen neighborhood stopped eating to demand the closure of a polluting, now-shuttered coal power plant. With schools set to open in less than two weeks, it remains to be seen how the hunger strikers pressure will bear fruit. But that history of educational justice activism has helped Taylor-Raman spur her continuing fast, she says. “That it’s 2015 and not 1950 and black people have to go on a hunger strike to get a neighborhood school—it says to me I’m not even human,” she says. Did ICE Violate Its Own Deportation Guidelines in Arresting Chicago-Area Unionized Meatpackers? What an eye-opener to see that the roster for the U.S. presidency includes candidates that are engaged in this "higher-ed" hustle. Check out the Miami Herald's year-long investigation of the higher education industry. They serve 300,000 students spread out over 1000 campuses. They get billions of financial aid state dollars, as well as millions of dollars of state money—enabled by policies that allow for the expansion of such so-called colleges and universities. What a scam. And they leave low-income families that are vulnerable to their messages in disarray. Hear about their damaged lives in this news report here. This bilking of the federal financial aid purse and to do so at these students' expense is unconscionable. What Clinton didn’t mention: Her husband, Bill, has been paid more than $16 million as “honorary chancellor” of Laureate Education, the world’s largest for-profit college company. The firm is being sued by several online graduate students for allegedly dishonest practices, and a 2012 U.S Senate report found that more than half of Laureate’s online Walden University revenue went to marketing and profit. Republicans quickly went on the attack. “Clinton’s College Hypocrisy Tour Rolls On” read the subject line from a Republican National Committee e-mail to reporters. What the RNC didn’t mention: The GOP field of 2016 presidential hopefuls is filled with candidates who have close ties to for-profit colleges. Marco Rubio listed two for-profit executives (and the industry’s former top Florida lobbyist) as “contributors” to his 2006 book, 100 Innovative Ideas for Florida’s Future. Jeb Bush gave a keynote speech at the for-profit industry’s Washington trade association last year, for which he was paid $51,000. I've appreciated Sojourners Magazine over the years and have been a fan of founder Jim Wallis. On the topic of social justice, Jesus, and liberalism, here is a good piece. He has many publications and this is one that I recommend: God's Politics: Why the Right Gets It Wrong and the Left Doesn't Get It HarperOne (2005). This piece by Stephen Mattson lines up well philosophically with God's Politics. Instead of saying all lives matter, Jesus said, "Samaritan lives matter." Instead of saying all lives matter, Jesus said, "Children's lives matter." Stephen Mattson blogs at stephenjmattson.com and has contributed for Relevant Magazine, Redletterchristians.org, and is a graduate from Moody Bible Institute. single sentence (a fact that may help to account for its popularity). that can be improved through effort. a few years later in a best-selling book for general readers. now, the growth mindset has approached the status of a cultural meme. Important August 11, 2015 update by Tony Diaz in the Huffington Post on the K-12 Mexican American Studies (MAS) program at Tucson Unified School District (TUSD). Pursuing a legal challenge against the state is a difficult decision, but sometimes there no other recourse. I applaud our good friends and colleagues in Arizona for staying the course—especially attorney Richard Martinez—as struggles like these always have far-reaching ramifications. In this case, the successful outcome by the TUSD plaintiffs, as conveyed herein, "protects the future of students to have courses in publicly funded schools that teach the history and culture of their race/national origin." Felicidades! Congratulations! Writer Dagoberto Gilb, who is banned in Arizona, author Denise Chavez, Tony Diaz-El Libroraficante, and The Librotraficantes as the Librotraficante Caravan Smuggling Banned Books Back into Arizona stopped in Mesilla, New Mexico. Photo Credit: Liana Lopez-Librotraficante Lilo. Discrimination is the only explanation for Arizona's banning of Mexican American Studies, threatening intellectual freedom for the entire nation. A federal appeals court suggested as much in their opinion on July 7, 2015. 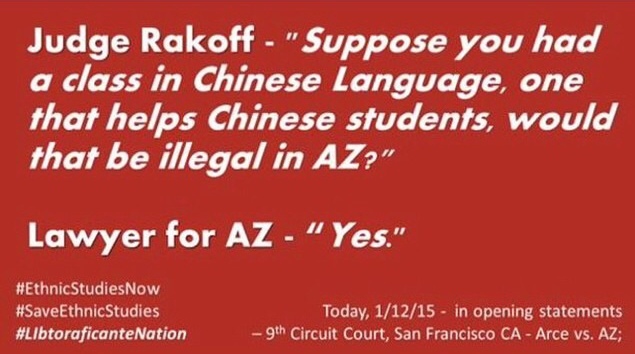 This is the ruling regarding the court case against Arizona's law used to ban Mexican American Studies. The court heard "Maya Arce vs Huppenthal", now called "Maya Arce vs Douglas," in January. The law prohibits courses that promote the overthrow of the government. However, as the judges pointed out, it was enforced on only the K-12 Mexican American Studies (MAS) program at Tucson Unified School District (TUSD). This was a monumental ruling because the court recognized the discrimination apparent in the state's banning and gave the plaintiffs the chance to document it. It appears that the federal government is ready to put in check Arizona's rebellion. The Librotraficantes were honored to be in the court room to witness history and hear first hand the oral arguments. Arizona's testimony bordered on parody, but the federal judges schooled Arizona with their probing and questioning. Below are some highlights from the proceedings. "V" for Victory, vatos! 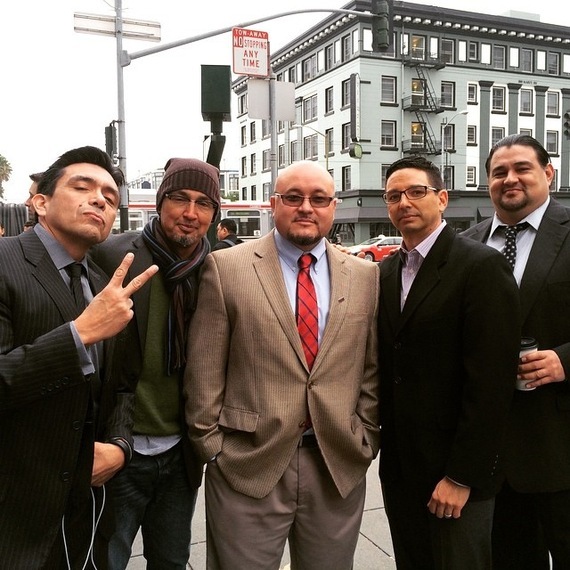 Tony Diaz with some of the original TUSD MAS teachers: Jose Gonzalez, Lorenzo Lopez, Curtis Acosta, and Sean Arce before entering the 9th Circuit Court of Appeals in San Franciso. You can work with them through the Xito Institute. Photo credit: Bryan Parras-HighTechAztec. Arizona began its oral arguments by trying to deport America to Opposite Land. The Cabrera Report and the Cambium Audit are 2 major studies that prove Mexican American courses helps students pass standardized Math and English tests and graduate. Arizona fought to keep the findings from being used as evidence in court. Arizona's justification for ignoring the data was mind-blowing. 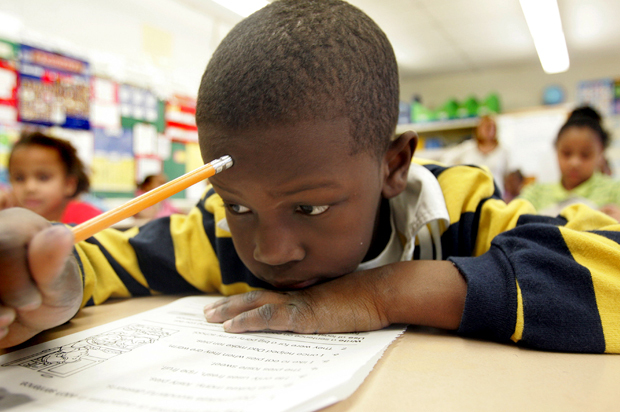 Arizona argued that "student achievement is irrelevant." Evidently, generations of teachers have the concept all wrong. Here we thought just the opposite. The sense this makes is nonsense. And the judges thought so, too. One judge said that ignoring the findings, ". . . would seem to demonstrate evidence of discriminatory intent." The worst job on earth must be serving as lawyer for Arizona. The state's lawyer was flustered and stuttering when she was pressed to provide an example of a course that could satisfy the different components of the law. She could not. It looked just like the Daily Show interview where Al Madrigal asked Michael Hicks, TUSD School Board Member, opponent of MAS, to explain how to teach African Americans students about slavery without creating resentment. He too fumbled with words and couldn't provide an example. The judges asked AZ counsel, "Suppose you had a class in Chinese Language, one that helps Chinese students, would that be illegal in AZ?" The lawyer for AZ answered-"Yes." Even on his last day of office, outgoing Education Chief Huppenthal notified TUSD that an African American Studies course was breaking the law by teaching KRS-One Lyrics. Evidently for Arizona far right Republicans being multicultural means banning Asian and African Americans Studies in addition to Mexican American Studies. As the presidential election gears up, and as the lawyers get ready to continue the case, the nation will get to see more of the evidence that answers some of the questions posed by the judges, such as, "How does that not suggest discriminatory animus? We don't want minorities to develop any kind of ethnic pride?" "Law and Order: Tucson." 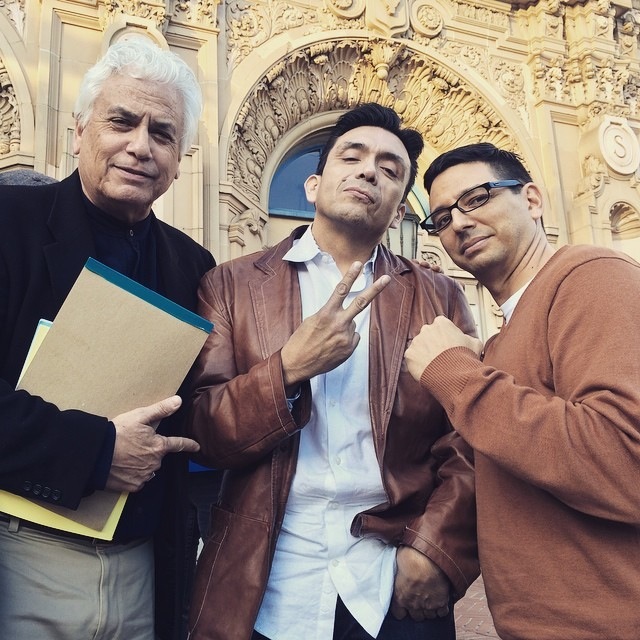 Richard Martinez, Esq., Tony Diaz-El Librotraficante, and Curtis Acosta in front of Mission High School in San Francisco, after the Ethnic Studies Summit supporting MAS. Photo Credit: Liana Lopez-Librotraficante Lilo. For a legal view of the ruling, I had a chance to interview Richard Martinez, during my final broadcast for Nuestra Palabra: Latino Writers Having Their Say on 90.1 FM KPFT, Houston, Texas. Martinez is the legal eagle who has championed the cause of the MAS students and professors from day one. He has assembled the current team that consists of a deep bench of law students, law professors, and lawyers with Supreme Court experience. "The 9th Circuit's decision in "Arce" is a significant, important vindication of the claims asserted by the plaintiffs." The conventional wisdom was that the case was over, that the task of reversing Judge Tashima was not likely to occur. Due to the incredible work done by the entire legal team, including Professor Bob Chang and the brilliant oral argument by Dean Erwin Chemerinsky on January 12, 2015, the 9th Circuit ruled in the plaintiffs favor in four significant ways." This includes affirming that the A(3) provision in HB 2281 was unconstitutional, and that the Judge Tashima would have to conduct further proceedings, including a trial, on the plaintiff's First Amendment Viewpoint Discrimination claim, and the 14th Amendment Equal Protection claims. (There are two, the first pertains to enactment of HB 2281 and the second to enforcement of HB 2281.)" The entire legal team believes that the 9th Circuit's decision is significant; an important decision that protects the future of students to have courses in publicly funded schools that teach the history and culture of their race/national origin." The case if not yet completed and the prosecution of the state of Arizona will continue. Sigue la lucha." 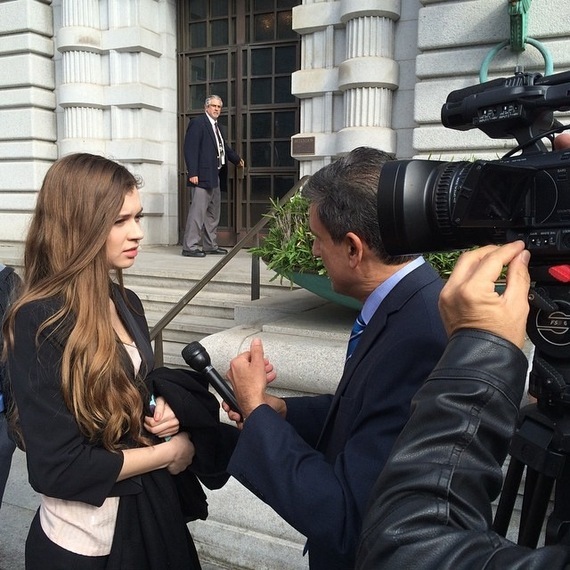 Maya Arce giving an interview in Spanish for national broadcast on Univision following oral arguments for her case against the ban of Mexican American Studies in Arizona. In this age of Ferguson, Ayotzinapa, and the banning of Mexican American Studies, we need Ethnic Studies to cultivate not just leaders who can navigate these cultural crises; we need leaders who can avoid them. It is in this era that we have become Cultural Accelerators. We are used to taking a few resources and making them last, and making them great. However, now we are aware of our power to do so. There have been more gifted generations; however, we have come of age with the additional gifts of technology, sheer numbers, a deep base of talent, and the awareness of what we are capable of. The book Critical Race Theory by Richard Delgado and Jean Stefancic is one example of how we accelerate culture. Critical Race Theory is one of the books included in the prohibited K-12 Mexican American Studies curriculum. Thus, it was confiscated from classrooms. However, the book now discusses that same ban of MAS in Arizona, during which that very book was yanked out of classrooms. Let that sink in: We live in an era where we can read our history as we make history as our acts preserve it and are archived to be taught to future generations-or the next day. We are now aware of our intellectual prowess only after it was attacked, only after the students, the teachers, the writers, the activists, the people of Tucson stood up to this oppression and united us from the class room to the court room. 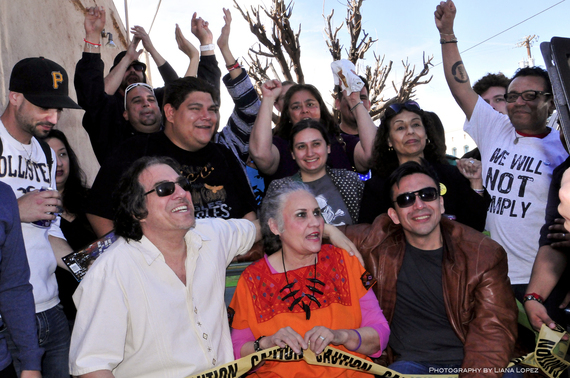 We salute the Tucson community who inspired us to unite to keep this un-American law from spreading, and to commit to spreading Ethnic Studies in our own states. The entire nation must stand with Tucson as they continue this fight. It is powerful that the racism they have suffered will be documented as we approach the presidential election. The Republican Party must decide if this unfair, un-American law represents the goals of their party. And the Democrats must not stand silently on the sidelines and must more actively stand up for our community's civil rights. And we must never forget that this happened. On that note, here is an excerpt from the official court ruling listing just some of the individuals who have dedicated their time, energy, and genius to stand up for Freedom of Speech and Intellectual Freedom. "This case was originally filed on October 18, 2010 by ten teachers and the director of TUSD's MAS program. The complaint was later amended to add two TUSD students, Maya Arce and Korina Lopez, and their parents as next best friends. A third student, Nicolas Dominguez, and his mother as his next best friend intervened in the case. However, Nicolas Dominguez and Korina Lopez voluntarily dismissed their appeals after graduating from high school, and the teachers' and the director's claims were dismissed for want of standing in an Order dated January 10, 2012 from which no appeal has been taken. Thus, the only remaining plaintiffs are student Maya Arce and her father and next best friend, Sean Arce. Defendants are the Superintendent of Public Instruction, Diane Douglas, the Arizona State Board of Education, and members of the Board of Education." It appears that every 40 to 50 years Democracy must be rebooted. This time the task has fallen on the broad shoulders and broader imaginations of Chican@s. We look forward to uniting with our brother and sisters from all walks of life to defend freedom of speech and intellectual freedom. And we look forward to reading the happy ending to this episode in powerful prose that will appear in history books that some day, too, some other oppressor will want to ban. But we will be ready for them. Will you commit class suicide with me?